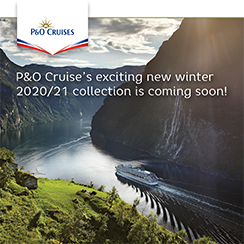 P&O Cruises' exciting new winter 2020/21 collection is coming soon! P&O Cruises is delighted to present the new winter 2020/2021 cruise programme, featuring a brand new programme for Iona from Southampton, as well as established favourites for their existing fleet, designed to appeal to newcomers and past guests alike. 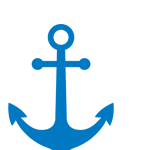 On board Iona, you'll get the chance to explore Amsterdam, Bruges, Hamburg and Rotterdam. These four iconic cities are bursting with local quirks, history, culture, great beer and plenty of good times. Studding the Spanish and Portuguese coastlines, these eight destinations are gateways to iconic sights and unforgettable experiences. Each has a unique cityscape, where past and present play out in a lively mix of architecture and anything-but-everyday life. Discover a different side of Spain, Portugal & The Canary lslands. The itinerary takes in seven fabulous destinations famed for their beautiful beaches, rich heritage and incredible weather – perfect for a warming dose of winter sun. 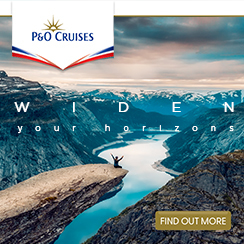 P&O Cruises are offering a low deposit of 5% on all cruises in the winter 2020/2021 programme. This offer is available until Monday 29 April 2019* and is combinable with P&O Cruises Select Price or Early Saver fares and includes The World Cruise and sectors. After this date the standard deposit of 15% will apply. A 5% booking discount is applicable to new P&O Cruises guests making a new Select Price booking from the new winter 2020/2021 collection before Monday 29 April 2019*. A 10% booking discount is applicable to past P&) Cruises guests making a new Select Price booking from thier new winter 2020/2021 collection before Monday 29 April 2019*. These offers are available across the entire winter 2020/2021 collection giving guests an incredible choice of 206 cruises sailing from September 2020 to April 2021. Members of the Peninsular Club can also benefit from a 5% discount on selected holidays on Select Price bookings. Destinations are yours to discover more deeply, when you adventure by sea and land on a P&O Cruises holiday. Revel in the excitement of throwing open your curtains each morning to an astounding new view – all yours to explore... Walk in the footsteps of the ancients in Rome, dive tropical underwater worlds in the Caribbean, dine Bedouin-style under a blanket of stars in Dubai, and so much more. And, with the gift of extra on-board spending money, on applicable Select Price holidays booked by 29 April 2019, you’re free to enjoy even more. To help you tailor your holiday just the way you like it, we’ve created four drinks packages that offer unbeatable choice and value. Each is available on any holiday of five nights or more and you can use your package in all the restaurants, bars and cafés on board. So, what’ll it be? P&O Cruises can trace its roots back over 175 years to the formation of the Peninsular Steam Navigation company in 1837, so you can be sure we’re cruise experts. The exceptional choices and service our cruises provide not only create memorable experiences, but are also great value for money. Guests can enjoy the holiday of a lifetime every time they cruise with us. 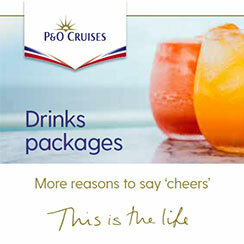 P&O Cruises want to give passengers a holiday to remember, filled with special occasions and memorable moments. From the friendly greeting they receive as they step on board, to Black Tie nights where the entire ship dresses to the nines, or from a lazy afternoon of pampering in The Retreat, to a romantic dinner for two at a Marco Pierre White restaurant, everything about a P&O Cruises holiday will make guests feel special. And when the cabin steward knows your name, and the bar steward remembers your favourite drink, that’s simply how a P&O Cruises holiday should be. Explore exciting destinations all around the world, with the comforts of being at home. We understand today’s cosmopolitan British tastes, with different style restaurants, including Michelin-starred chef, Atul Kochhar’s fine dining Indian restaurant, and restaurants by Marco Pierre White. Sophisticated bars with specially selected wines by TV’s Olly Smith. West End style shows, and comedians you can really have a laugh with. There’s even tea & coffee making facilities in your cabin for that early morning drink, with Twining’s tea of course.